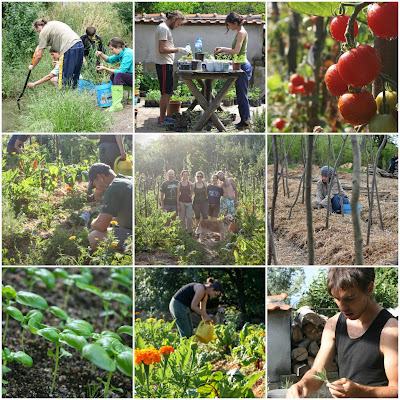 The Balkan Ecology Project in Bulgaria are opening the doors again for volunteers on their summer polyculture trials. A great opportunity to learn about polycultures, fruit, veg, timber and nut production and live in a stunning location for the summer. 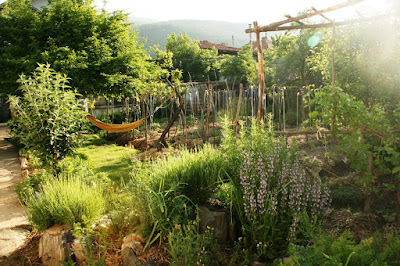 Encouraged by high yields and high levels of biodiversity that we have been recording in our home gardens, we have extended our research to look at how we can provide nutritious affordable food whilst enhancing biodiversity in polyculture landscapes. We are delighted to be offering a unique opportunity to take part in this study. Would you like to join us? We are undertaking a multi-year study of market gardening, growing herbs, vegetables and perennial fruit and nut polycultures. 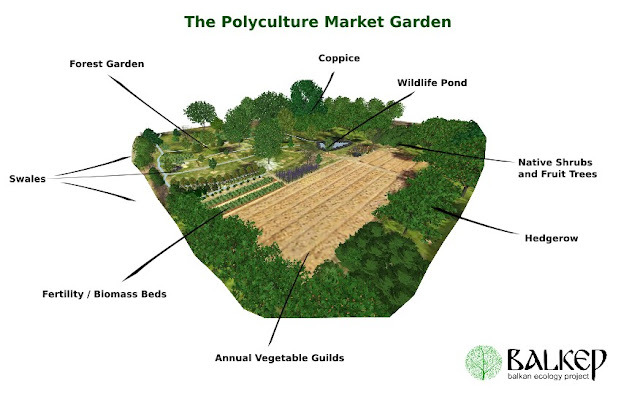 The study aims to compare our polyculture plots with conventional organic plots, record levels of biodiversity in the gardens and look at set up and running costs (in terms of finances and time) and outputs in terms of produce and income. 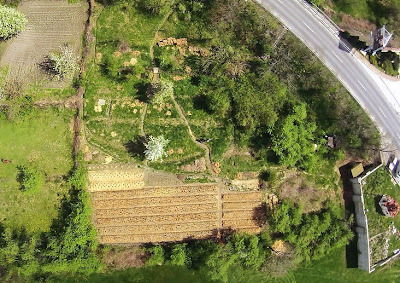 We will also be working on a new experimental garden growing perennial polycultures providing fruits, nuts, vegetables, biomass, timber and wildlife habitat. 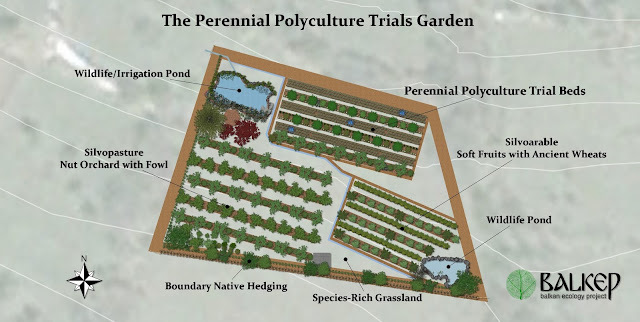 You can find out more about our perennial polyculture trail gardens here. 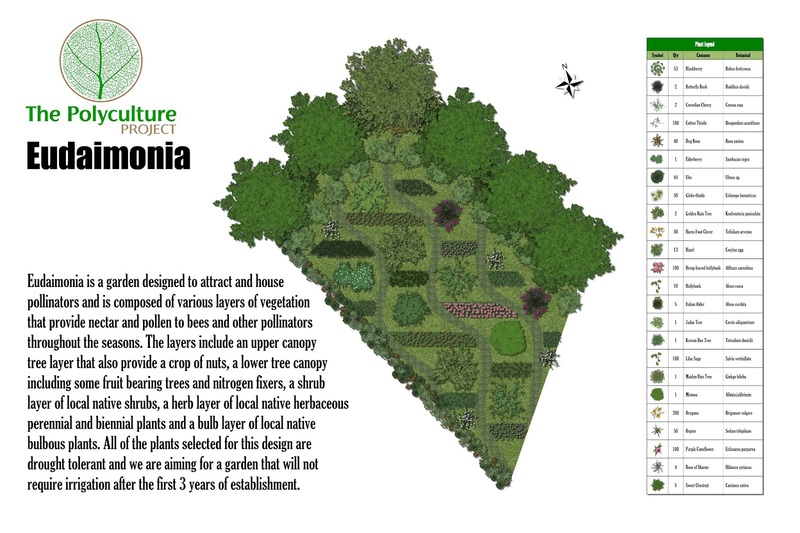 Finally, this year, we'll be starting the development of a new Bee Garden - Eudaimonia. 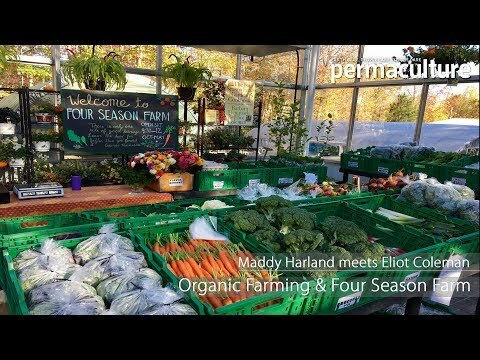 ​This is an excellent opportunity if you are considering starting a garden, enjoy landscape design and/or are interested in ways to provide affordable healthy food whilst increasing biodiversity. The project is based in the town of Shipka, Bulgaria on the foothills of the Central Balkan mountain range in the Rose Valley. It's an area of high biodiversity, beautiful countryside and historical sites of global, cultural and scientific significance. The project site is located on an abandoned piece of agricultural land on the western outskirts of the town that we call the Paulownia Garden. See Map for Paulownia Garden Location. The contribution for joining the study for the full 6 month period (April 1st - September 30th) is €650. This includes rent and bills for the whole period and admission to all courses and events held during those dates. Following this, if you decide you would like to take part, the fee for the duration of your stay should be paid in full to secure your place. Payment can be made via PayPal (processing fees apply) or bank transfer in £,€ or BGN.